They are beautiful and designed to look exactly like human lashes. They are soft, light-weight, bend-resistant, flexible and curled at one side. Because of their different lengths in the bundle they give a natural look. The final look is fuller. With only 12—16 Push-up Lashes per lid a more expressively beautiful eyelash wreath is generated. 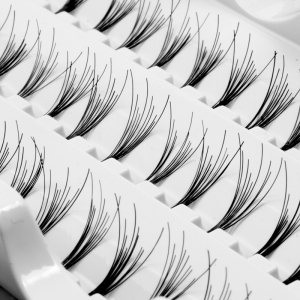 Once you have had these gorgeous looking lashes, you will never want the one-by-one method again. It is not necessary for the customer to lay down for the treatment; the application can be done very comfortably sitting. 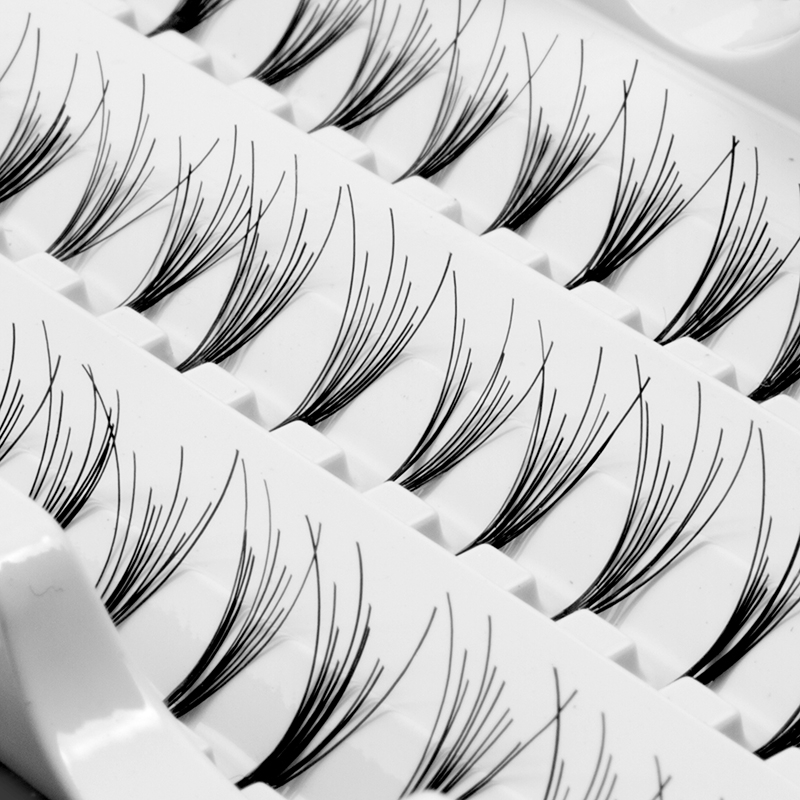 While the one-by-one eyelash application method lasts up to 2 hours per client, the application of Push-up Lashes can be done in only 20—30 minutes. This is enormously economic and timesaving for the client, as well as for the Eyelash Professional. The time that was needed before for one single client can now be used for 3 clients. As an Eyelash Professional you can offer this method far cheaper, than the single eyelash application method. So you can extend your target group and generate a bigger turnover. Clean the clients’ eyelid and lashes in a safe and effective way of makeup. Use only oil free eye make up remover in order to optimize the durability of the glue. Use shorter lengths at the inner side of the lid and longer ones at the outside of the lid.